Preheat oven to 350°. Scrub potatoes; pierce several times with a fork. Microwave, uncovered, on high until just tender, 10-12 minutes, turning once. When potatoes are cool enough to handle, cut each lengthwise in half. Scoop out pulp, leaving 1/4-in.-thick shells. Mash pulp with all ingredients except cheese. 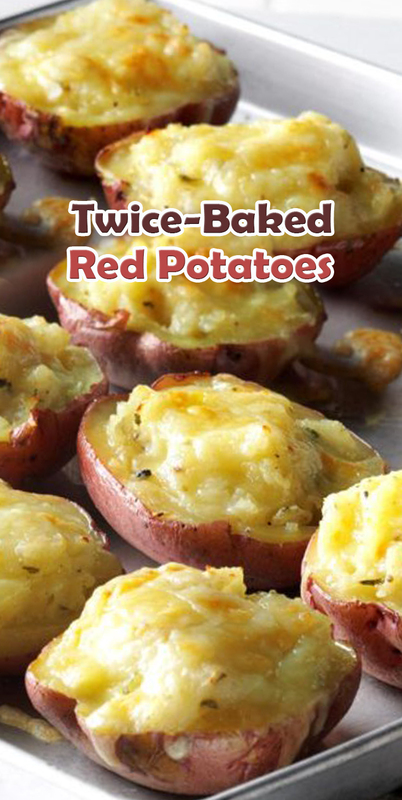 Spoon into potato shells. Top with cheese. Bake until heated through, 25-30 minutes. If desired, broil 2-3 minutes until cheese is light golden brown.